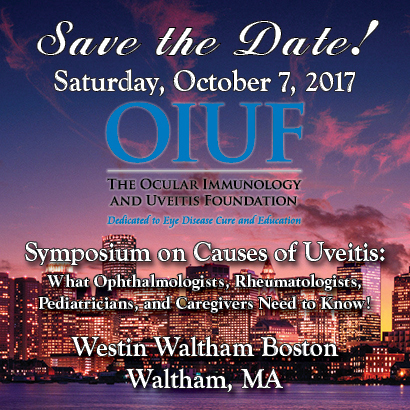 Join the Ocular Immunology and Uveitis Foundation this Fall for a conference devoted to pediatric uveitis! Symposium on Causes of Uveitis: What Pediatricians, Rheumatologists, Ophthalmologists and Caregivers Need to Know! *This conference is for physicians, parents/caregivers, and children with uveitis. Registration will be posted soon!